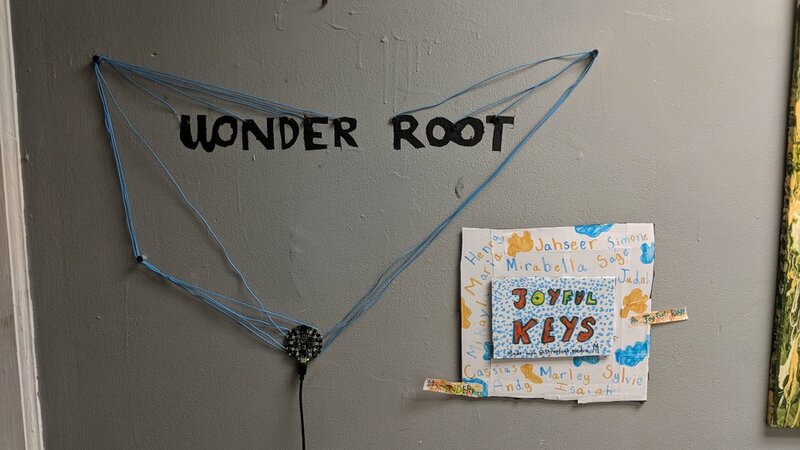 WonderRoot CAMP ~ Interacting with our world! At this kids camp, Streetcat led a one-day workshop with kids on topics relating to physical computing called, Interacting with our world. Access and download the lesson for kids here: goo.gl/TG1v8V. 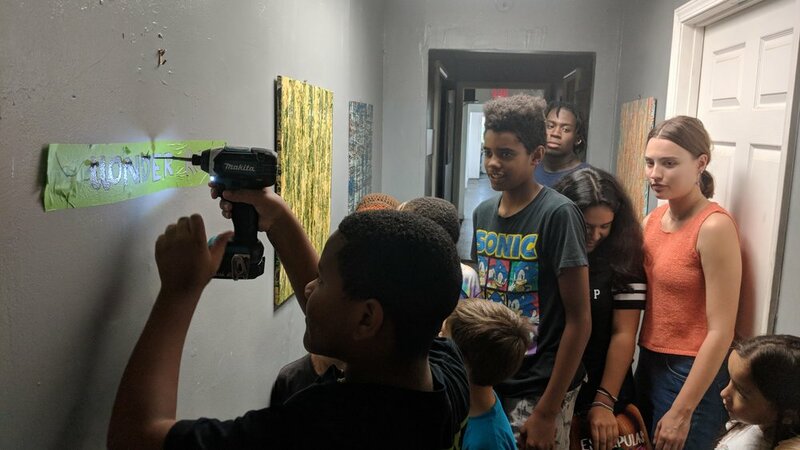 Streetcat developed a one day workshop for the WonderRoot CAMP for kids that focused on teaching them about the evolution of tool-making as it has progressed into advanced technological sensory development. Streetcat taught a 4-part workshop series for artists to make their own web portfolio from start to finish. This workshop series belonged to WonderRoot’s program called Artists Helping Artists. The class series was broken down into 4 meeting dates where students learned the fundamentals of information design and how to master the Squarespace web platform. Internet basics, information design basics, content flow, how to efficiently source content for your website. Squarespace platform basics, building pages and designing content on Squarespace, begin to add content to website, refine information design. Website design mid-process mini-critique, continue to add content, begin researching styles (colors and fonts) for unique web presence, develop mood boards for web style. Add final content, add styling to website, final mini-critique, how to manage your content after class ends – give additional resources to participants.